I’ve designed 8 Christmas cards that are simple to paint and quick to do. They are all in different watercolour styles and I’ve included ideas for variations on the theme and for further inspiration. Each card is fun to paint, and you will learn some interesting watercolour techniques as you do them. 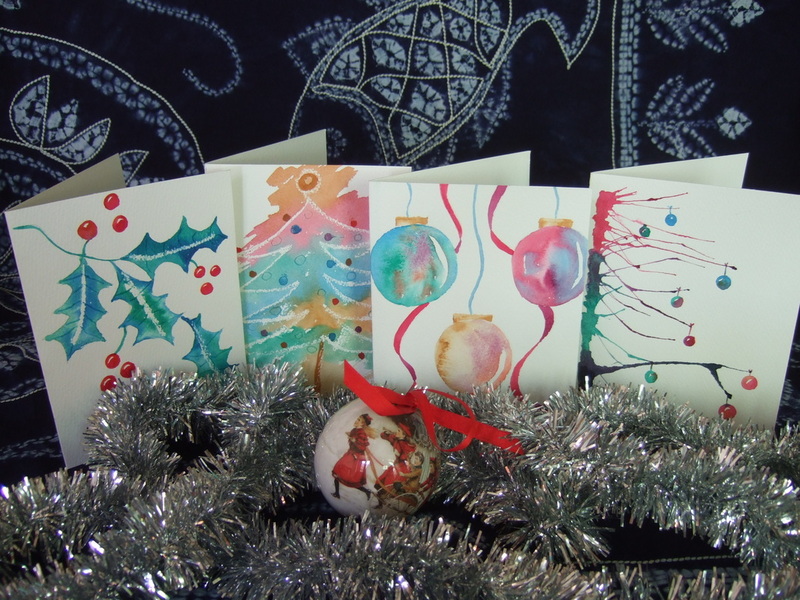 So now you can send your own handmade and hand-painted Christmas cards to those special people in your life. The 8 different styles of card have full written instructions to download, and videos to show you how they have been painted, so you can follow along easily. And it doesn’t matter if you have no painting experience - they are easy to do and very effective. Choose either of the two sets, or buy them both! Learn some basic landscape painting skills, how to use masking fluid, how to use colours and graded washes to great effect, and how to paint upside down! You don't need a Paypal account to buy a course. Watch the short video below to find out how.